The following is a press release from the progressive media watchdogs, Media Matters for America. It tells the story of Byron Williams, the Glenn Beck inspired man who got into a firefight with police officers in California last July. Williams was trying to "start a revolution" by committed mass murder against the Beck targeted Tides Foundation and the ACLU. This is part III of IV. As John Hamilton reported, alleged California highway shooter Byron Williams - who reportedly told investigators that "his intention was to start a revolution by traveling to San Francisco and killing people of importance at the Tides Foundation and the ACLU" - repeatedly assailed financier George Soros. Fox News host Glenn Beck, whose show Williams touted, has also attacked "evil" Soros and Tides, often weaving them into his conspiracy theories. Tides Foundation and Soros frequently mentioned by Beck. From the first day of Beck's Fox News program to July 18, the day Williams was arrested, the Tides Foundation has been mentioned on 29 editions of his show. In most of those instances, Beck attacked Tides, often weaving the organization into his conspiracy theories. Two of those mentions occurred during the week before Williams' shootout, and three occurred during June -- the month of programming Williams highlighted to journalist John Hamilton. Since the start of his Fox News program to July 18, "Soros" has been mentioned on 85 programs - nine times in June alone, according to a Nexis search. In vilifying Soros, Beck has claimed that the Tides Foundation acts as a vehicle for Soros' ruinous plans to enact an extremist left-wing agenda. On the July 26 edition of his radio program, Beck acknowledged his role in "turn[ing] the light of day" on Tides by putting it on his blackboard. During the July 29 edition of his Fox News program, Beck vilified Tides by linking the group to his Weather Underground conspiracy theory. 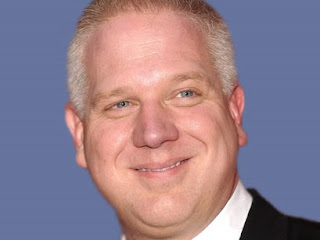 On the July 29 edition of his radio program, Beck said, "I stand by" my attacks on Tides while denying being "responsible" for Williams' planned attack. On the August 13 edition of his radio program, Beck said Tides is "made specifically to launder the money." On the August 17 edition of his radio program, Beck said that Soros and Tides "got the left to all stand together, all the people that hate America." On the September 28 radio program, Beck warned Tides: "I'm coming for ya on the battlefield of ideas." On the September 28 edition of his Fox News program, Beck said, "Soros and the Tides Foundation have been trying to indoctrinate our kids." On the October 6 edition of his Fox News program, Beck advanced former Malaysian Prime Minister Mahathir Mohamad's anti-Semitic claim that Soros was "helped trigger the economic meltdown" of Southeast Asian currencies in 1997, which Mahathir had reportedly suggested was part of a Jewish "agenda." In fact, Soros and other hedge funds were found not to be primarily responsible for the currency crisis, and Mahathir later retracted the claim. Again, George Soros has nothing to gain from this. He's just telling the president what to do through the Center for American Progress. The Soros Fund Management LLC, I guess we should tell you this, holds a stake in Petrobas [sic], that is the oil company of Brazil, in the amount of $900 million as of December 31, 2009. Petrobas, theBrazilian oil company that the Obama administration -- get this -- the Obamaadministration is now lending $2 billion to. You ready? Wait for it. What is the $2 billion going for? To perform offshore drilling in Brazil. On June 21, Beck again questioned whether Soros "knew that the administration would be making a $2 billion preliminary commitment" to Petrobras "just days after he strengthened his investment. Isn't that weird?" Beck further said that "in a completely unrelated story, BP has the oil spill," later saying, "Then Obama suspends the deepwater drilling at 1,500 meters. He says 'Hey, hey, that's dangerous! Fifteen hundred meters, that's crazy.' Petrobras is drilling at 2,777 meters. Obama knows it and loans $2 billion to Petrobras. Last stop, Petrobras shareholders get rich," and "You, getting screwed." And though Byron told me he researched the Tides Foundation long before ever hearing it mentioned by Beck, in his letter to me, he had singled out Beck as a key source of information on Soros and Tides. At one point, Byron told me, "I haven't seen any programs with Tides and Beck," before reconsidering a moment later. "He mentions it, you know, just as a footnote or a side note in his programs." In his jailhouse interview with Examiner.com's Walsh, Bryon said that Beck's attacks on Tides served as "a confirmation of what I already knew." Beck: Soros is "looking to replace the capitalist system once it's been destroyed." On June 21, Beck said, "I don't know if [George Soros] is a radical that's been trying to implement the Cloward and Piven strategy on collapsing the system." Beck went on to claim that Soros is "one of the guys looking to replace the capitalist system once it has been destroyed." This accusation is based on a distortion of a Soros quote. Soros said that the international currency system -- not the capitalist system -- is "broken and needs to be reconstituted." Beck suggests Soros will try to have him killed. On June 21, while detailing his Petrobras conspiracy theory, Beck said, "Gasoline Brazil. Now why am I telling you about this? Have you heard of another word? Soros. George Soros.I do have a bulletproof car, George. I just want you to know." Later on the same program (retrieved from Nexis), Beck also called Soros a "spooky dude." Beck: Soros is "evil." On his June 7 show, Beck said: "Who are the elites? I mean, you could put a billion people up here. But Al Gore, he's just trying to help the planet. That's all he's trying to do. That's all he's -- George Soros, he is just -- I don't know what -- he's evil. Well, I am just trying to tell you that it's all unsustainable and we got to raise taxes. And here are some more elites. OK? They are taking from you. You can't afford it. They are taking it from you and giving it under the guise of giving it to the poor, to their elites. That is what is happening. Hello?" Because many of these recipient groups are quite radical, the donors reportedly don't want to be publicly linked with them. So Tides can pass their money along to the intended beneficiaries without the paper trail. One of Tides' most generous donors, Massachusetts Senator John Kerry's wife, Teresa Heinz Kerry. She has reportedly giving the foundation more than $8 million over the years. Also, liberal giant George Soros, and California mortgage billionaires Herb and Marion Sandler. Beck: "Soros has the Tides Foundation." On January 25, Beck said that "Soros has the Tides Foundation. He heavily donates to this." Beck: "George Soros money" being used for "indoctrination" through Tides. On June 21, Beck said that Soros also "helped start the Tides Foundation, which among its many super, super classics are the anti-capitalist 'Story of Stuff,' indoctrination video. Yes, George Soros money. Isn't that great? Shown in schools all across America to warp your children's brains and make sure they know how evil capitalism is." They're taught capitalism is evil. Videos like this one are being played in classrooms cross country, made by the George Soros-funded Tides Foundation. Beck also referenced the "video made by the George Soros-funded Tides Foundation" on October 29, 2009. In addition to fearmongering about Tides and Soros together, Beck regularly fearmongered about Tides' supposed ruinous agenda against the country. Beck: Tides trying to "infiltrate and gain control of big businesses. On June 24, while discussing the "1963 communist goals," Beck said: "Thirty-seven: Infiltrate and gain control of big businesses. What do you think the Tides Foundation is?" Pike says Soros' philanthropic groups may have lent a comparatively small amount of support to Tides but that "George Soros doesn't own us. He's not on our board. He's not a major donor to us. We have hundreds of foundations and many corporations that have supported our projects."